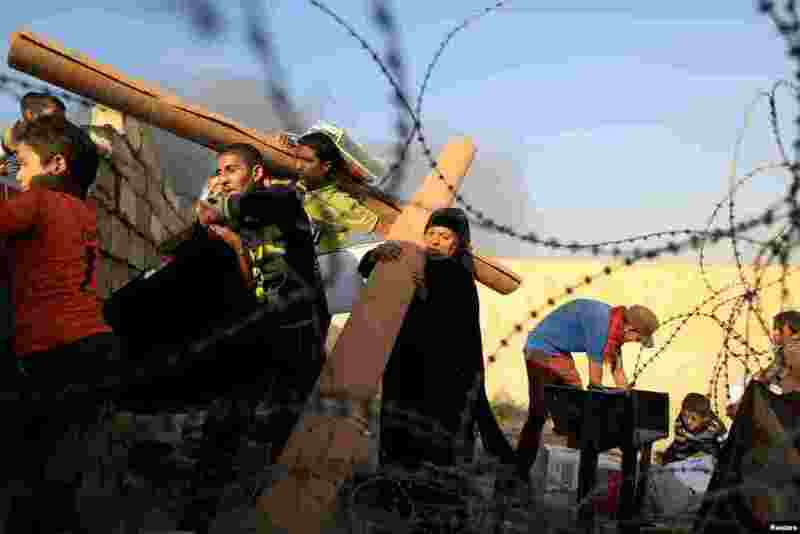 ١ Newly displaced people carry humanitarian packages at a processing center in Qayyara, south of Mosul, Iraq, as smoke rises from a burning oil refinery. 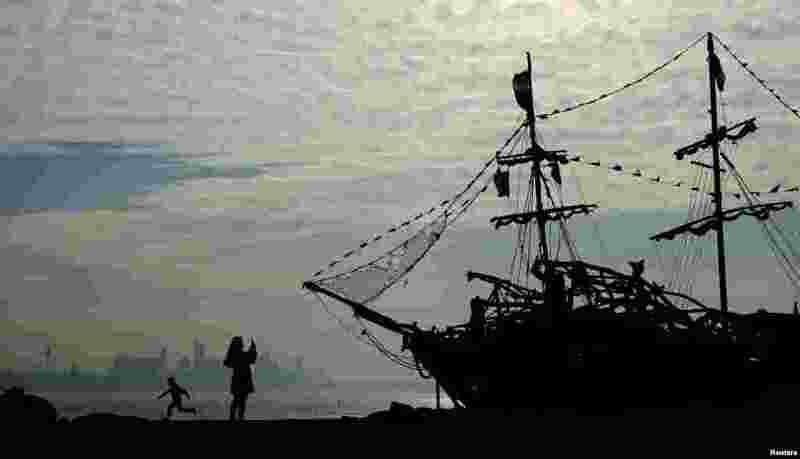 ٢ People play in front of a driftwood pirate ship on New Brighton beach near Wallasey, Britain. 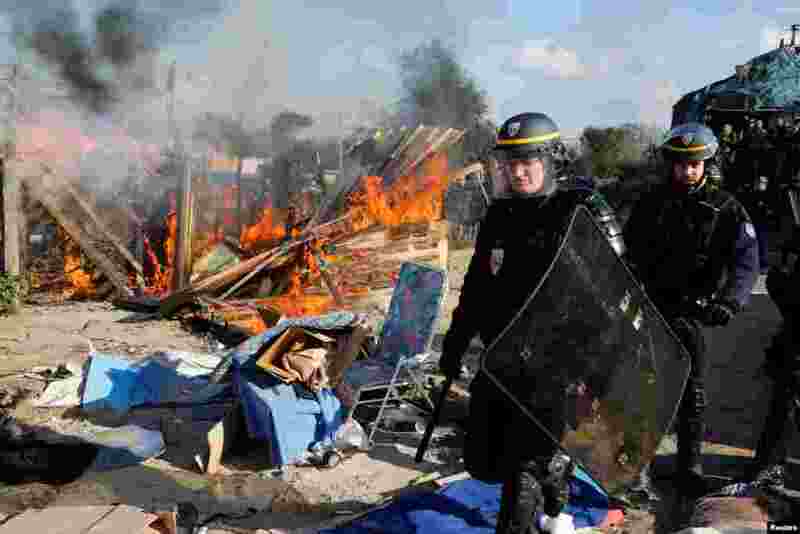 ٣ French riot police officer secures the area near a burning makeshift shelter set ablaze in protest against the dismantlement of the camp for migrants called the "Jungle" in Calais on the second day of their evacuation and transfer to reception centers, in France. 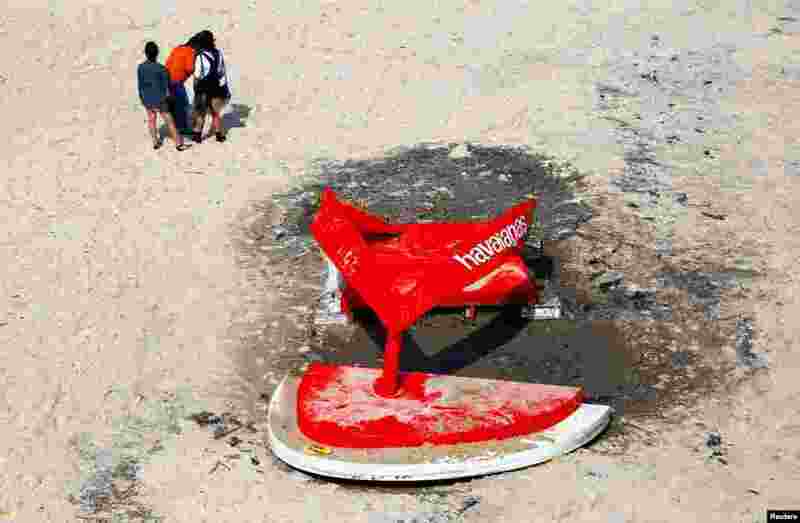 ٤ People stand near a sculpture that was damaged due to large waves, during the annual outdoor exhibition known as "Sculpture by the Sea" located on Tamarama Beach in Sydney, Australia.